I am a senior lecturer at Murdoch University, and have been teaching in the art and design fields for over 20 years. Most recently I have served as Academic Chair for the Graphic Design, Games Art and Design and Web Communication majors in the School of Arts. I received a Ph.D. from the University of Western Australia in 2011. My PhD abstract was peer reviewed by the Leonardo Electronic Almanac (LEA) e-journal, and was deemed to be one of the highest ranked for 2012. My research interests include the nexus between practice and discourse in both contemporary art and design, critical design practice, studio practice pedagogy, visual communication, interactivity and human machine relations. My recent publications include, “A Question of Inheritance: the Problem of Interactivity in the Visual Arts,” The International Journal of New Media, Technology and the Arts, and “The case of Biophilia: a collective composition of goals and distributed action,”in Transdisciplinary Imaging (Leonardo /(LEA) publications). As principal for BoxCudos Design, a graphic and web design consultancy, I also consult in communications design, publication design, identity design and web design for cultural, not for profit, and corporate clients. I am also an experienced international new media artist, having exhibited in over 30 international exhibitions, including, ISEA 2011 (Istanbul), 404 International Festival of Electronic Arts (Argentina), Salon International De Art Digital (Cuba), Siggraph 2006 (USA), FILE – Festival Internacional de Linguagem Eletrônica ( Brazil), NewForms06 (Canada), BEAP -Biennial of Electronic Art (Australia), Haptic 07 (Canada), Bios4, Centro Andaluz de Arte Contemporáneo (Spain), Transitio_MX (Mexico) and the Santa Fe International New Media Biennale (USA). My artwork is also represented in several Australian state and national collections such as the National Library of Australia (Pandora archive), Art Gallery of Western Australia, ArtBank (Sydney), Casula Powerhouse (Sydney), Central TAFE (Perth Australia), Curtin University of Technology (Perth) and the University of Western Australia. I have also received several grants including $10,000 Australia Council, New Media Grant in 2004. I was also the Institutional Project Leader for a $150,000 Australian Learning and Teaching Council Grant in 2009. Art and design has been a real passion in my life. It’s not something that I’ve done for a job, it’s something that has consumed my every waking minute. Needless to say my own art practice has been a real driving force in my life. It has led me to exhibit my work all over the world, create designs for numerous clients and achieve things I would have never thought possible. This unit explores visual communication as it relates to the processes, techniques, and creative possibilities of digital and graphic design production. Throughout the unit students develop a thorough and culturally informed understanding of critical graphic design and new media history and theory. Students will also develop practical design skills through the rigorous development of numerous graphic design projects. This unit provides students with a solid basis in the theory, design and technology of responsive website design. It examines the application of visual communication and graphic design along with the integration of HTML, CSS and Java script in web design. This unit also looks at web development, interaction design, user experience, content strategies and project management for the web. This unit explores advanced aspects of the design and development of websites for real world clients, such as responsive design, content management systems and project management aspects. Students participate in group-based design, production and project management methods toward the successful completion of a project. Currently working on several journal articles based on the ethics of twitter bots and contemporary art practice. Also working with a number of international clients towards a health and patient monitoring mobile app. Mark received his Ph.D. from the University of Western Australia in 2011. Cypher’s PhD abstract was peer reviewed by the Leonardo Electronic Almanac (LEA) e-journal, and was deemed to be one of the highest ranked for 2012. Students from the 3rdyear Graphic Design course at Murdoch University will work with your not for profit organisation to develop a fully functional website. This project offers students invaluable experience in applying their university studies to a ‘real life’ issue and an opportunity to learn about the value of the not for profit sector in our community; at the same time this experience also allows a not for profit organisation to get a free website. m dot cypher at murdoch.edu.au. 2015 Jan Andruszkiewicz, Metaphor, material artefact, and action in art practice. Cypher, M., (2014),The Case of Biophilia A Collective Composition of Goals and Distributed Action,In: Interference Strategies, Leonardo Electronic Almanac, pages 26 to 35. Cypher, M., (2017), Unpacking collaboration: non-human agency in the ebb and flow of practice-based visual art research,	Journal of Visual Art Practice, 16, 2, pages 119 - 130. Cypher, M., (2015), A Question of Inheritance: the Problem of Interactivity in the Visual Arts,	The International Journal of New Media, Technology and the Arts, 9, 2, pages 1 - 10. Broderick, M., Cypher, M., Macbeth, J., (2009), Critical Masses: Augmented Virtual Experiences and the Xenoplastic at Australia's Cold War and Nuclear Heritage Sites,	Archaeologies: Journal of the World Archaeological Congress, 5, 2, pages 323 - 343. Cypher, M., Richardson, I., (2006),An actor-network approach to games and virtual environments,In: CyberGames 2006: International Conference on Games Research and Development & IE 2006: The Third Australasian Conference on Interactive Entertainment (CGIE) (2006). Cypher, M. “How Difference Comes to Matter: ‘Intra-Action’ and Mediation in Digital Art Practice.” Visual Arts Research, vol. 44, no. 2, 2018, p. 1+. Cypher, M., Broderick, M., Macbeth, J., (2009), Critical Masses: Augmented Virtual Experiences and the Xenoplastic at Australia’s Cold War and Nuclear Heritage Sites, Archaeologies: Journal of the World Archaeological Congress, 5, 2, pages 323 – 343. Cypher, M., Richardson, I., (2006), An actor-network approach to games and virtual environments, In: CyberGames 2006: International Conference on Games Research and Development & IE 2006: The Third Australasian Conference on Interactive Entertainment (CGIE) (2006). “The case of Biophilia: a collective composition of goals and distributed action.” The Second International Conference on Transdisciplinary Imaging at the Intersections between Art, Science and Culture. Victorian College of the Arts. 22 – 23, June. M. Cypher, Richardson, I., , S. Hinton, A. Hutchison, J. McMullan and J. Whitkin (2011) ‘Remix, Mash-Up, Share: authentic assessment, copyright and assessment policy in interactive media, games and digital design’, EDULEARN: International Conference on Education and New Learning Technologies, 4-6 July 2011, Barcelona, Spain. “An actor-network approach to interactivity in the visual arts”. Afterlives of a Thesis. A joint Murdoch and Curtin universities in screen media/creative arts symposium. Fremantle Arts Centre. 3 July. “Composition Aesthetics; Learning to be affected by a website’. ANZCA, Fremantle, 3 July. “The modal weight of an interactive and electronic artwork; relational materiality, distributed cognition and the actor-network”. 18th International Symposium on Electronic Art. Sydney University, 12 June. “Propositions 2.0- The World Is Everything That Is The Case”. The Experimental New Media Forum, John Curtin Gallery, Curtin University,1 June. “Trans-actions”. Presentation at the Australian Forum : Uncontainable-The World Is Everything That Is The Case, for the 17th International Symposium on Electronic Art. Sabanci University, Istanbul, 15 Sept.
“How not to understand interactivity by ignoring it”. Diegetic Lifeforms II Conference: Creative Arts practice and new media scholarship. Murdoch University Sept 3-5. 2012 Full paper review, Studio Research Journal, Griffith University. Dr Mark Cypher has been teaching in the art and design fields for over 20 years. 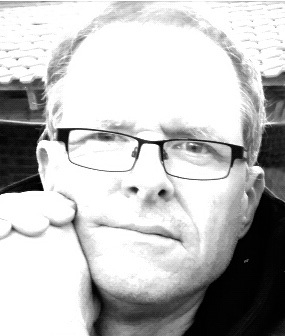 Mark is a senior lecturer and Academic Chair for the Graphic Design at Murdoch University, Perth, Western Australia. As principal for BoxCudos Design, he consults in communications design, book design, identity design and web design for cultural, not for profit, and corporate clients. Mark is also an experienced international new media artist, having exhibited in over 30 international exhibitions, including,ISEA 2017 (Colombia), ISEA 2011 (Istanbul), 404 International Festival of Electronic Arts (Argentina), Salon International De Art Digital (Cuba), Siggraph 2006 (USA), FILE – Festival Internacional de Linguagem Eletrônica ( Brazil), NewForms06 (Canada), BEAP -Biennial of Electronic Art (Australia), Haptic 07 (Canada), Bios4, Centro Andaluz de Arte Contemporáneo (Spain), Transitio_MX (Mexico) and the Santa Fe International New Media Biennale (USA). Mark Cypher’s artwork is also represented in several Australian state and national collections such as the National Library of Australia (Pandora archive), Art Gallery of Western Australia, ArtBank (Sydney), Casula Powerhouse (Sydney), Central TAFE (Perth Australia), Curtin University of Technology (Perth) and the University of Western Australia. 2017 “ISEA2017″, 23rd International Symposium of Electronic Art, XVI Internatinoal Image Festival,La Universidad de Caldas , Manizales, Colombia. 2017 “Al-Tiba9″ Arab International Exhibition of Contemporary Art, Ciutadella Pompeu Fabra Carrer de Ramón Trias Fargas, Barcelona. 2017 “Al-Tiba9″ Arab International Exhibition of Contemporary Art, MAMA Museum of Modern Art in Algiers, Algeria.